We had an awesome time at Whistler Breaks, and it has everything you need for a great ski vacation. From the layout to the amenities to the hospitality, everything was top notch. Specifically, the mud room and garage are indispensable for shedding wet ski gear before going into the house. There is a Weber grill with a direct natural gas line, so you can grill as much as you want without worrying about empty propane tanks. Rentals often have very limited/low quality cookware/kitchen utensils, but this one was very well stocked and functional. The spacious, open floor plan allows for plenty of room without feeling cramped. Check-in was super easy with the automated lock, which also made it nice to not have to carry keys around all day on the slopes. Debbie was very attentive and any questions or issues we had, before and during the trip, were dealt with and attended to promptly. The location is also great. 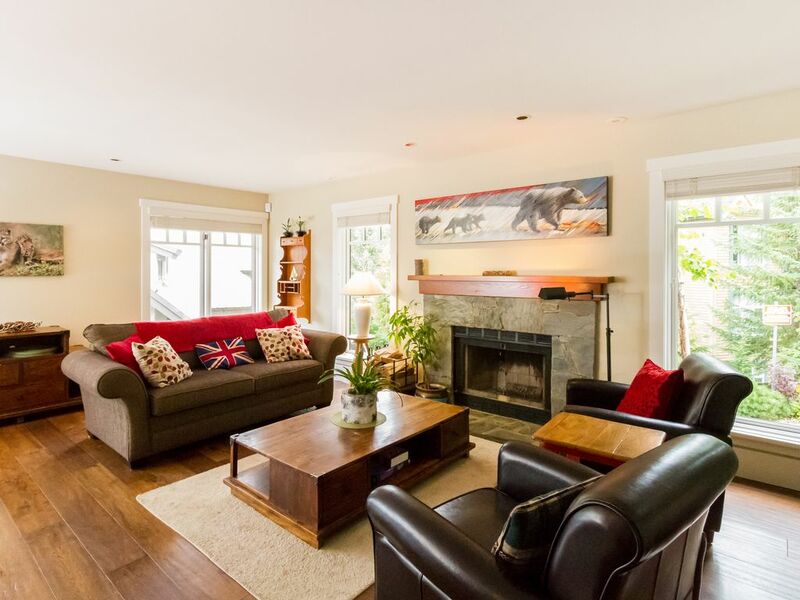 It is secluded enough to be relaxing and quiet, and it's still just a short walk to Upper Village, Whistler Village, and the Blackcomb base lifts. We did not bring a car and never missed having one. If you do need to get anywhere further away or do a grocery run, the bus stop is right around the corner from the condo and easy to use. Overall our first trip to Whistler was an awesome experience, made even better by the condition and quality of the condo and Debbie's hospitality. We had a wonderful experience in Crystal Ridge #1. Layout was great for our multigenerational holiday vacation. Great access via free shuttle steps away from unit to everything. Because we traveled with small children and cooked in unit the very well equipped kitchen was helpful. Lower level mudroom perfect for storage of all ski equipment and sleds and winter wear. Debbie is a very responsive to any inquiry. Only had a very insignificant issue with hot tub that was fully addressed in 2 hours. We would stay at this property again without hesitation. Clean and well kept house that accommodates 8 comfortably. This house has 3 bedrooms and a den with 2 bunk beds. It suited my family (children and grandchildren) perfectly. There were ample utensils, cups, bowls, plates...etc. for us to prepare our own meals. We did encounter a problem with the AC system during a very hot week, but Debbie, the manager, was very responsive in getting the problem resolved. Actually, Debbie had been very quick to respond to any query that I had sent to her during the reservation period and during our stay. Debbie, thank you for your professionalism. Thank you Richard, I really appreciated your feedback and I'm so pleased you enjoyed your time here in Whistler. Thanks for being great guests and I hope you'll return for another visit in the not too distant future.